This concert is not open. It is a special event for those who could not attend the snow-date concert. 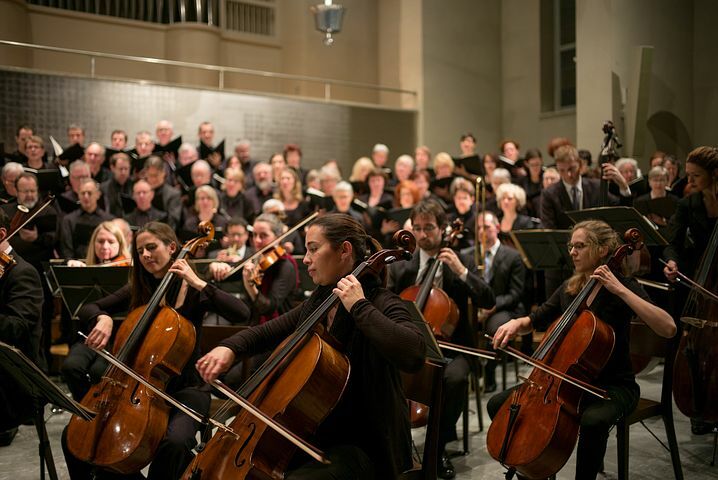 The Ithaca Community Chorus and Chamber Singers will be performing the The Magnificat by Johann Sebastian Bach and the Hymn of Praise (Symphony #2) by Felix Mendelssohn. The biblical canticle Magnigicat is scored for five vocal parts and a Baroque orchestra. In 1723, after taking up his post as Thomaskantor in Leipzig, Bach set the text of the Magnificat in a 12-movement composition. The Magnificant remains one of Bach's most popular vocal works. Felix Mendolssohn's Hymn of Praise was composed in 1840 to celebrate the 400th anniversary of the invention of Johannes Gutenberg's movable type printing system.